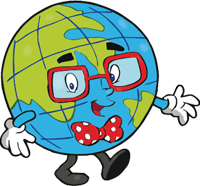 Crossing Borders International Preschool offers academic programs in five different languages! In today’s world, the ability to speak another language gives your child countless opportunities for their future. Give your child the advantage by enrolling them at Crossing Borders International Preschool! Learn a New Language . . . or Two! 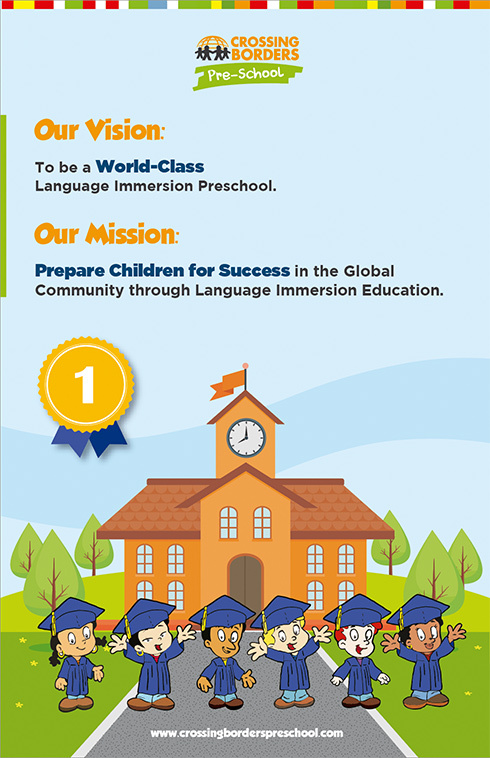 Our language immersion program, coupled with a fun curriculum will give your child the advantage to quickly learn a new language. Within days, most students start to understand words, phrases, and sentences. Shortly thereafter, they begin to speak, answering simple questions and engaging in short conversations. In no time at all, they are on their way to becoming multilingual. At Crossing Borders International Preschool, we explore many cultures, providing children with a thorough understanding of other people, their traditions, and their countries. This helps facilitate language learning, and for many kids, it gives them the desire and confidence to explore other countries and study or work abroad. Crossing Borders International Preschool is a fun place to learn and make new friends. We provide a supportive environment, encouraging students to be open and understanding of others. Often, children become lifelong friends who stay in touch—even when crossing other borders! We are committed to exceeding the expectations of our students, parents, and employees. We promote acceptance and respect of others regardless of race, religion, age, language, or gender. We believe our diversity is our strength. 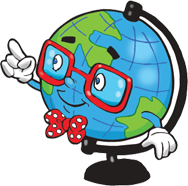 We believe language is critical in our global society and we are dedicated to teaching our students new languages. We are committed to providing the best education available through curriculum, activities, exercises, and games. Safety of our children, parents, and staff is our #1 priority, above all else. We are committed to continuously improving our materials and curriculum to provide the best language education available. We are honest and ethical in our actions. We hold ourselves accountable. We acknowledge and embrace our differences with kindness and acceptance. Examples may include: dance, snake shows, bubbles, bounce house, splash day, Daddy-Daughter Dance, Parents Night-Out, St. Valentines, and many more! Graduation ceremony, pictures, holiday shows, volunteer work, etc. Testing and evaluation for children, ages 3 through 5, into kindergarten. Our program enables us to monitor our students’ academic skills and development. Crossing Borders International believes that the safety and security of all students, parents, and staff is the main priority. We have cameras installed in all classrooms and lobby area. These cameras are not accessible to parents. We’re keyless! Our main doors only open with an assigned FOB that is quickly disabled should it ever be lost. A new adventure!! Get ready for our new building! Starting August 21st, 2019 we will also have new classrooms and new awesome staff and students as a part of our 2019 expansion. Call us today to reserve your spot and become a part of the Crossing Borders Family!